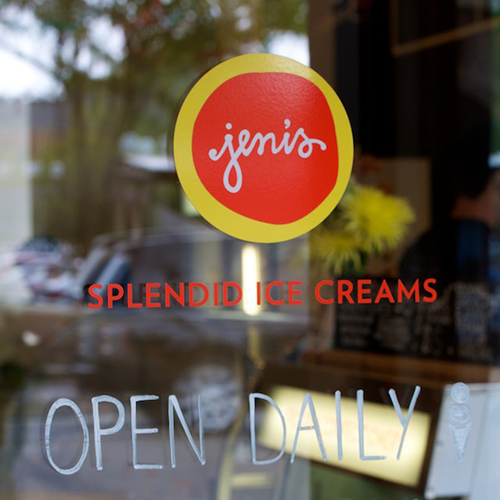 Started in 2002, Jeni’s Splendid Ice Creams launched right here in our hometown of Columbus, Ohio. 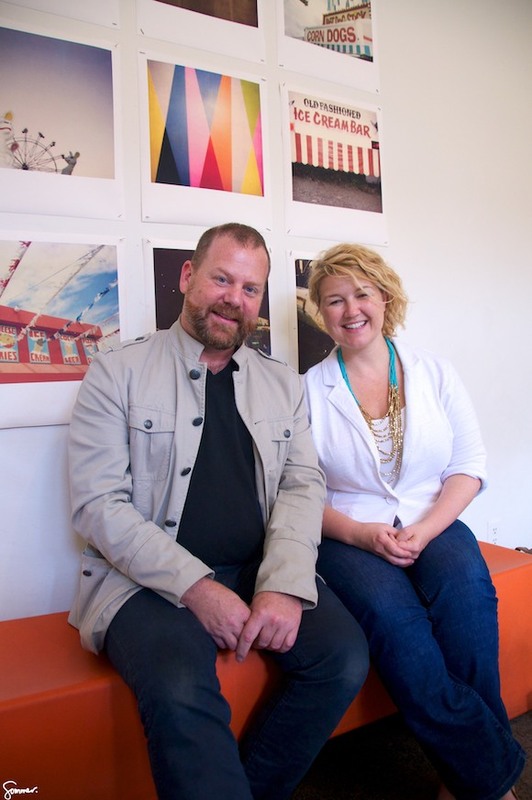 Inspired by the flavors and smells of The North Market, Jeni Britton Bauer, founder and creative genius behind Jeni’s Splendid Ice Creams, adopted local ingredients to create her signature combinations. 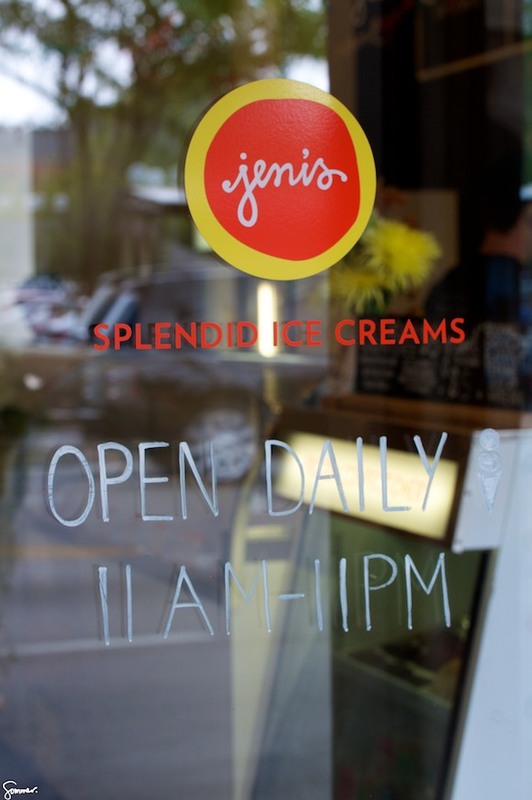 Seventeen years later, you can purchase pints of Jeni’s in grocery stores nationwide, and visit one of the 35 shops across the United States. With a story in every unique flavor combination, Jeni’s passion for the brand rivals her passion for quality ingredients. Behind the pint is a company built from a community of farmers and culinary artists who thrive on connecting the customer with each scoop. The shops are simple, welcoming and comfortable, with drawing inspiration and focus to the handmade process. 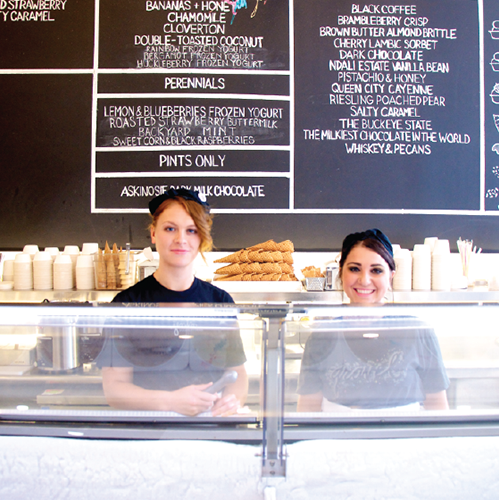 Jeni’s keeps things pure even when they’re not perfect. There is a transparent quality to the chalkboard menu that perfectly aligns with the product. 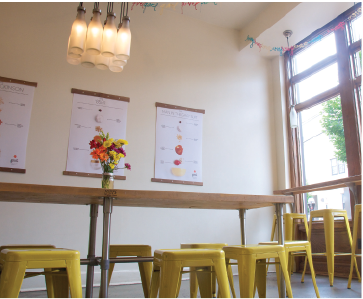 Although it takes three days to fill in the most recent flavor offerings, it’s well worth the wait, not to mention adds to the aesthetic and local charm of the shop. On any given day the store is a celebrate of the season, or a new flavor launch. Visual details reflect the nostalgic, handmade approach to the brand, reminding us of simpler times. Hand-cut paper garlands promote the launch of their new “gravel” toppings collection. Hand=painted window details are a nod to a tradition of the neighborhood’s past. 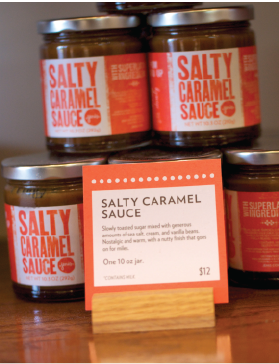 Carved out in its own corner is an area dedicated to retail, featuring the famous “Dairy Heir” t-shirt, delicious sauces and Jeni’s not one, but TWO critically acclaimed cookbooks. 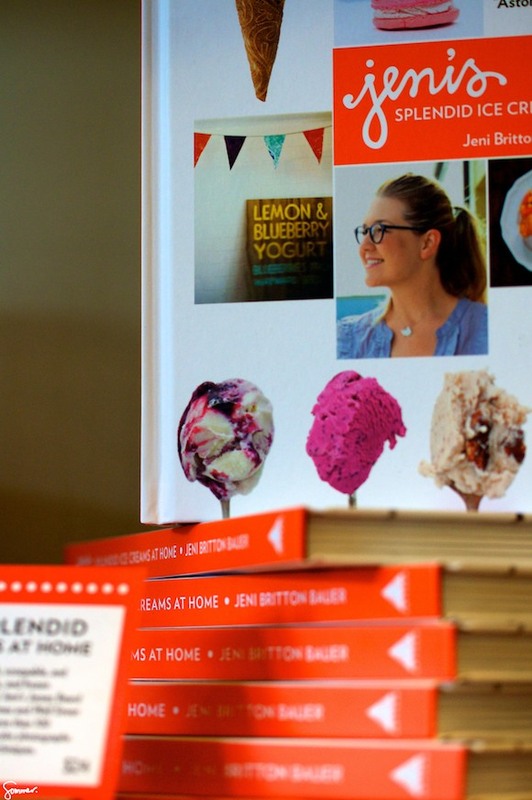 Her first book received the highly-regarded James Beard Cookbook award, launching the brand to to fame as a household name with world class ice cream. The retail assortment is completed with a selection of colorful classic sodas, fair-trade candy and local music. Products are merchandised together, accompanied by simple signage carrying the story of each item. More treasures await in a freezer loaded with extra pints ready to be taken home. 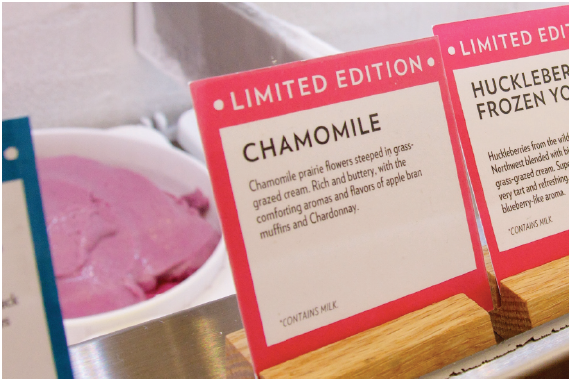 Handwritten labels adorn each pint proven that every batch is a special, crafted by our very own Jeni! Newer PostMore than a mall. Destination retail across the globe.